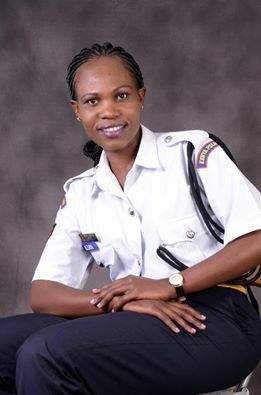 Two days after the entire social media was awash with claims that Bootylicious Kiambu Cop Linda Okello had been demoted from her job she was caught in procession of Ksh 1000 which was alleged to be from a bribe she had collected from a motorist. The story has vastly spread in the entire blogosphere after the star News paper published a story on their website that Okello was demoted from her job on Saturday after she was caught red handed receiving a bribe. Laying her sentiments on social media Linda told her fans not to listen to those negative posts of her demotion and she will inform them in case there is good or bad news. Linda did not clarify whether the claims of her being caught with a ksh 1000 note from a bribe was really true.